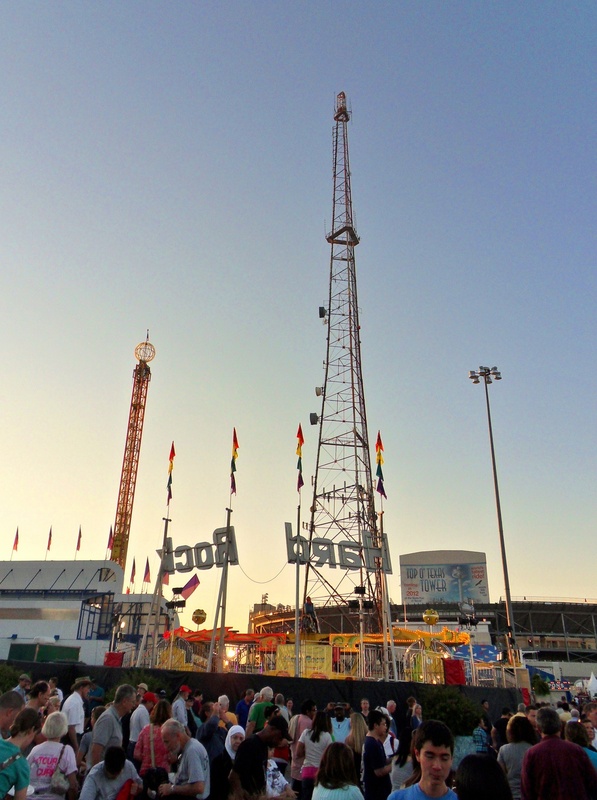 In the fall, when the temperature in Texas drops below ninety degrees, people in Dallas head out to festivals and outdoor gatherings. The biggest of these is the State Fair of Texas. 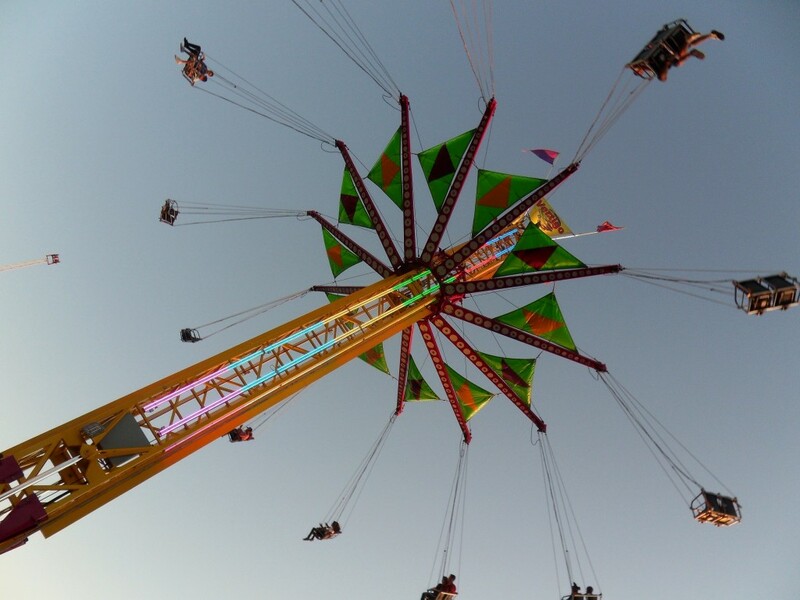 Like any good state fair, there are carnival rides, prize-winning livestock and plenty of carnival rides. There are also midway games, museum exhibits and a giant fiberglass cowboy. 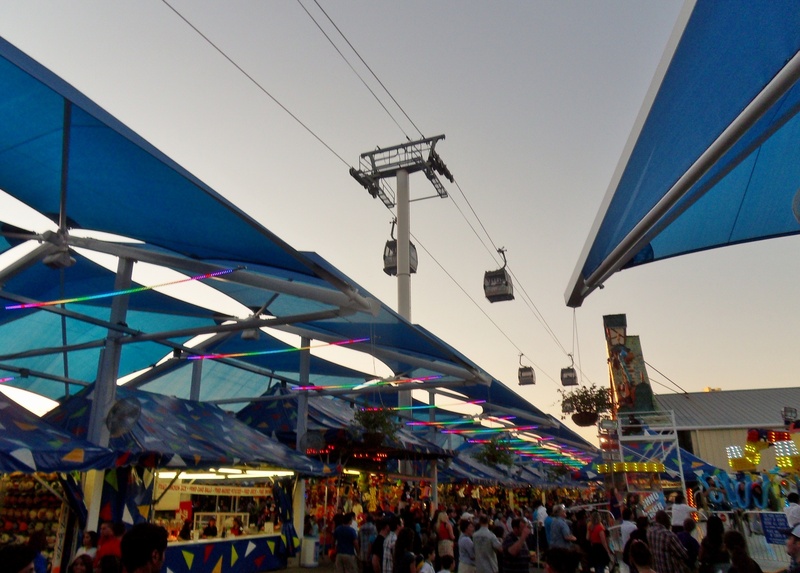 I went to the State Fair right around sunset and snapped the following photos. 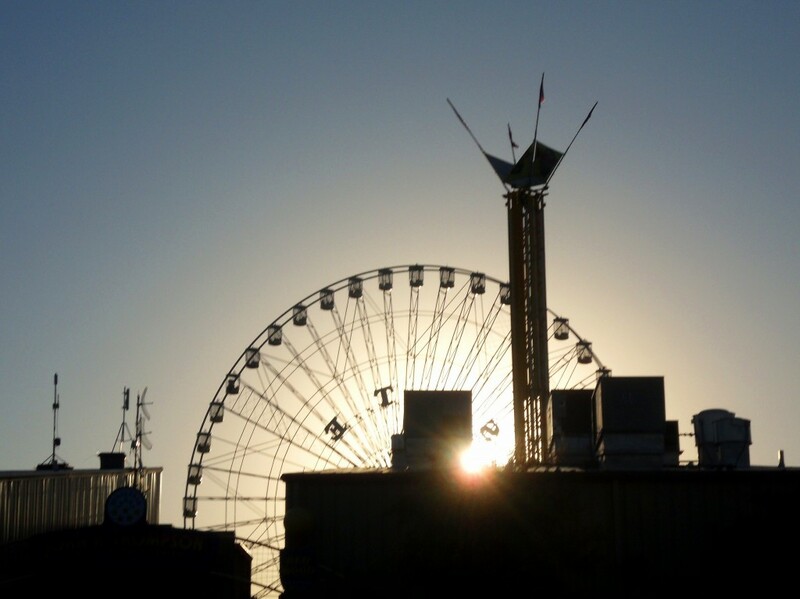 The Texas Star at sunset. 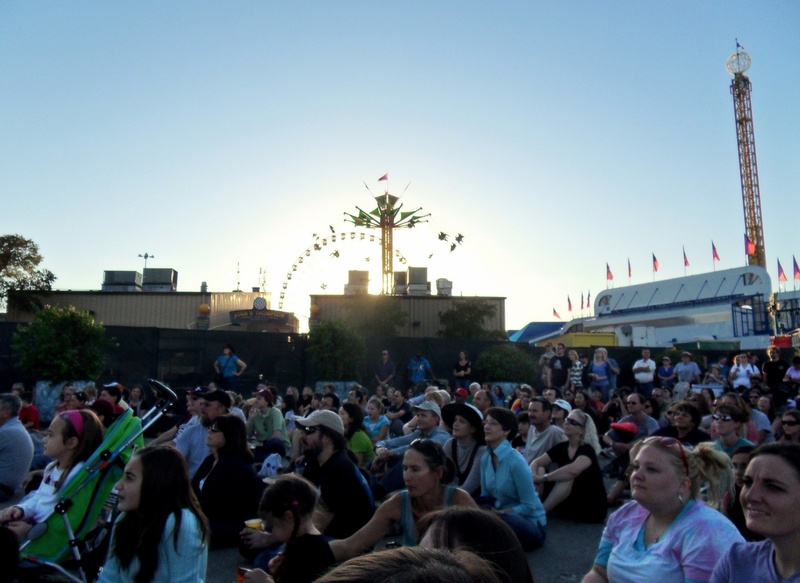 A crowd gathers for a show. I get dizzy just looking at this. 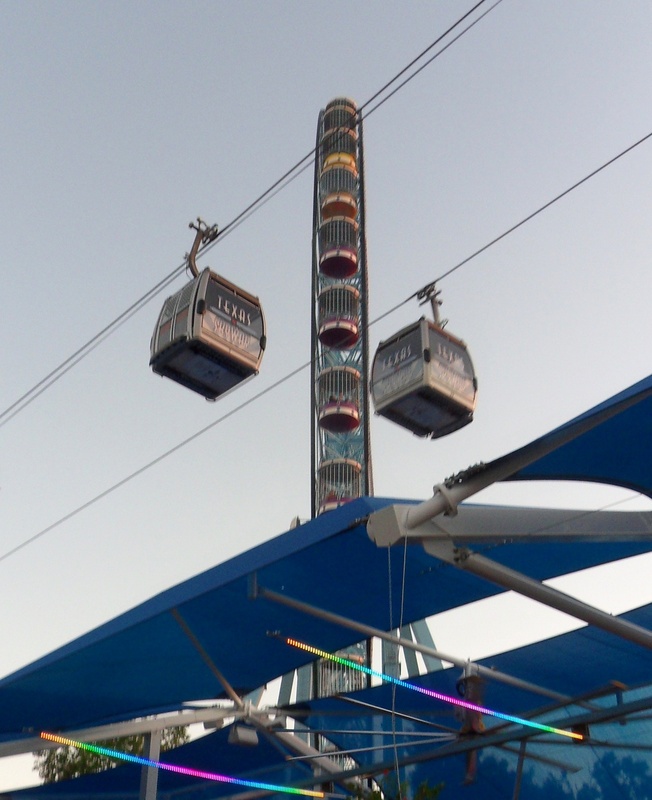 Whem I first came upon this tower, I wondered what kind of ride it was. It was only when I took a second look that I realized it was the side of the Texas Star ferris wheel. 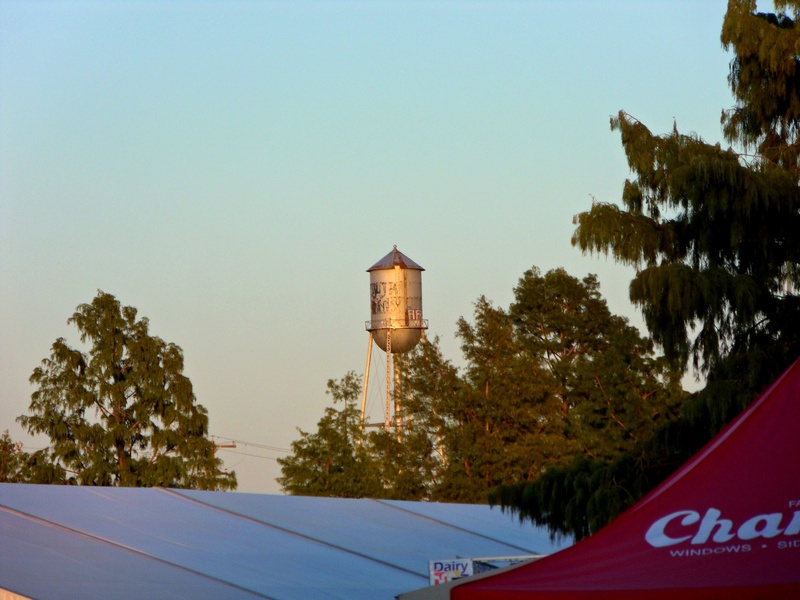 An old water tower in the distance. The midway beneath the cable cars. 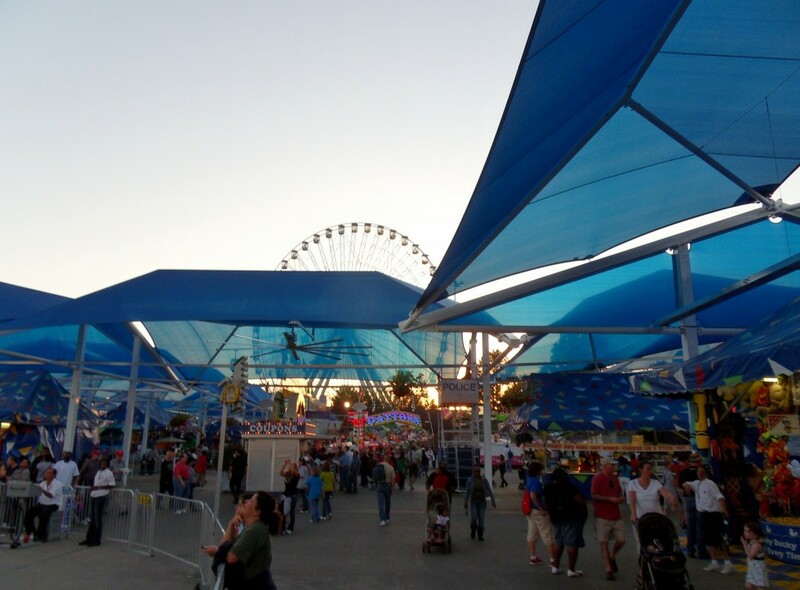 For some reason the State Fair has a separate scrip system for midway games. I don’t know why. I’d be more likely to play if I didn’t have to buy a separate kind of ticket. 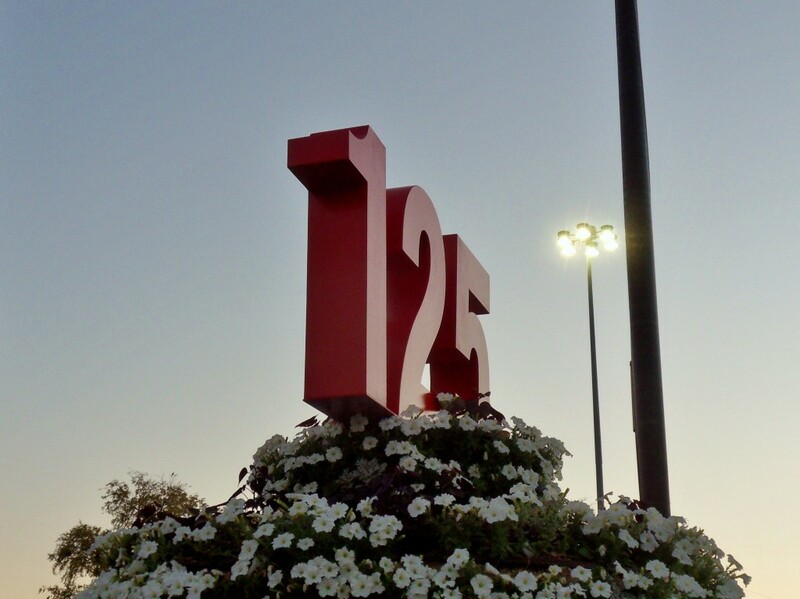 This year marked the 125th anniversary of the State Fair of Texas. 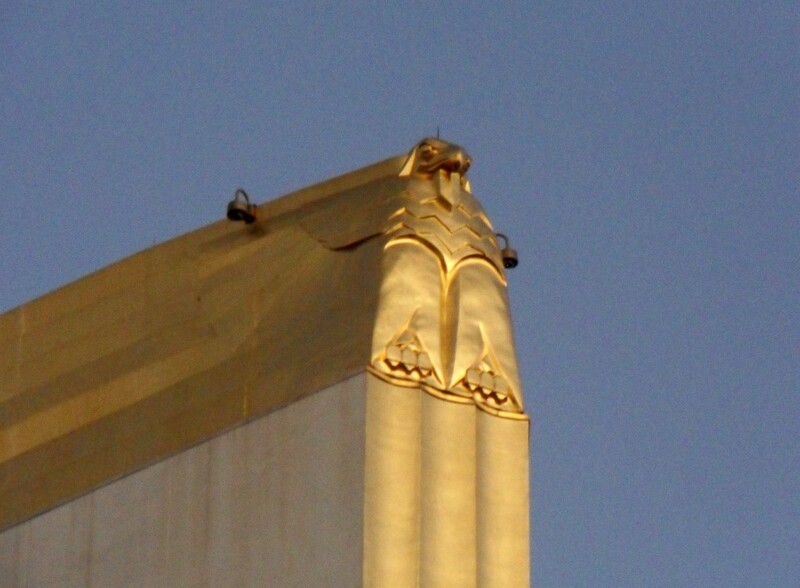 A fat eagle is on the top of the Food Court obelisk. Given all the fried foods, I’d say it’s pretty fitting. 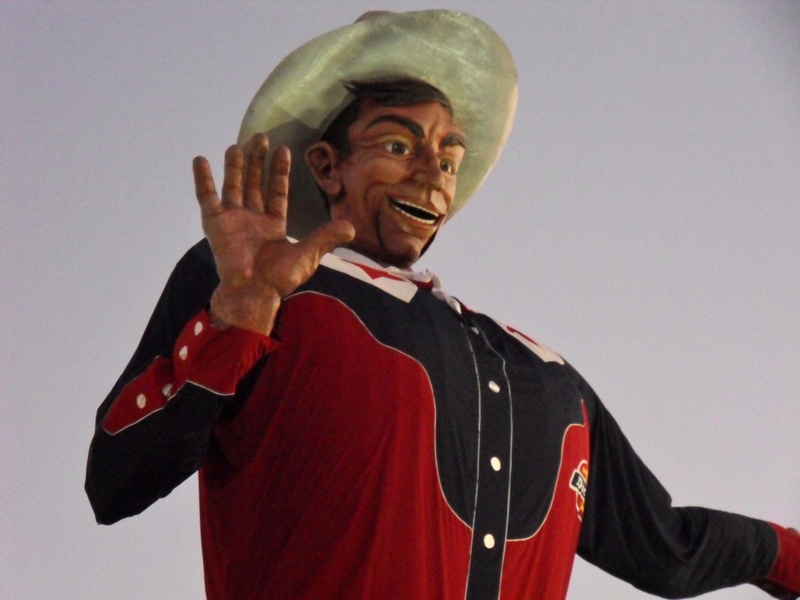 Big Tex creeps me out. 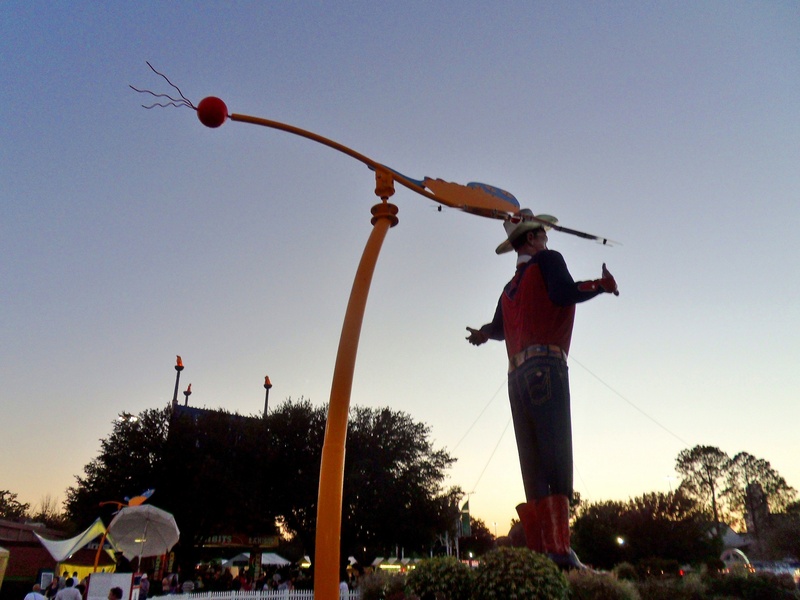 It looks like Big Tex is getting attacked by a giant butterfly on a stick.